Myanmar was an amazing country that I could never keep my mind off of it. The beautiful landscape with stunning pagodas, the friendly faces and beautiful smiles I could never find in anywhere else, and the kindness of the people all around. Since we only got 15 days visa on arrival in Myanmar, we decided to spend the times that we’ve got wisely. Which means, we took plenty of night buses on the road which is able to save our time and money as well. 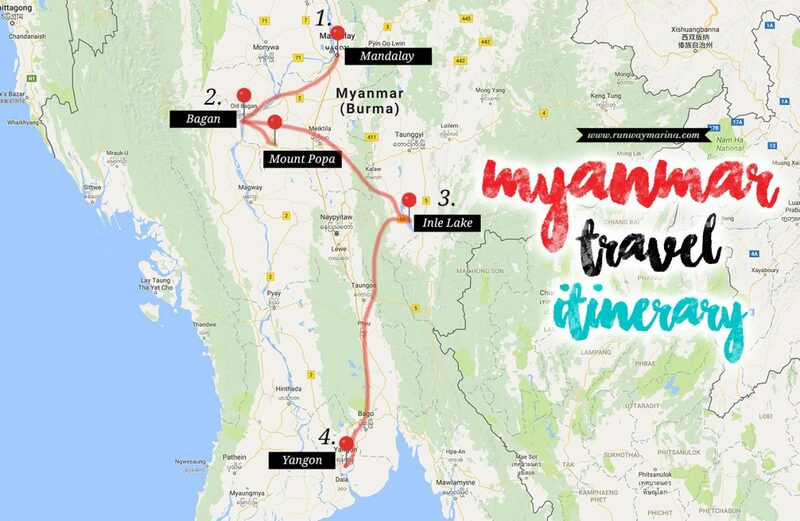 And so I have decided to write down Myanmar travel itinerary on this post to inspire you guys! We landed at Mandalay International Airport and took a shuttle van to go to the city. We asked the driver to take us to the hotel that he recommended and we enjoyed our stay even more! The manager hotel even invited us to visit and stay at his family’s house in Inle Lake, which becomes our highlight trip! As we arrived quite late in the afternoon, we decided to walk around the area and encountered a night market. As we found the interesting show to watch on, we walked to the Moustache Brothers show and had an amazing time! Decided to rent a motorbike and went outside Mandalay to Inwa and Amarapura. Got lost in Inwa was an unexpected amazing trip we had. Spent our afternoon at the U-Bein bridge in Amarapura with the locals. The sunset was super stunning! Going around Mandalay the whole day with the motorbikes! From hiking the Mandalay Hill, the Mandalay palace, the stunning monastery and the UNESCO World Heritage of the largest book in the world. One day touring would never be enough! 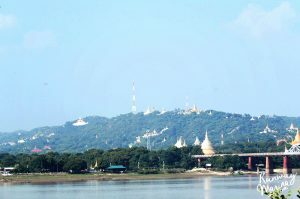 The day after tired of exploring Old Bagan, we decided to go on a hike to Mount Popa with other travellers. We need to book a taxi that would fit 4 people together to the spot. I totally recommend this as the place were not touristy, full of locals, and the great way to view the landscape. We spent the rest of the afternoon around Bagan itself and exploring modern Pagoda. Got on the night bus to Nyaungshwe where we will be picked up by our host in Inle Lake. 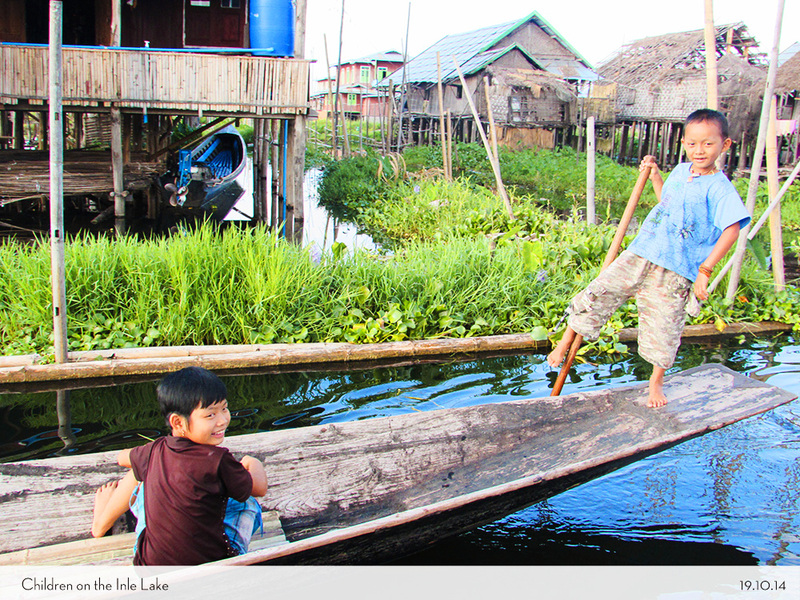 We spent almost one whole night journey to Nyaungshwe and crossed the lake with super chilly air by the boat. We arrived at our host’s house and had amazing dinner with them. Spent the time to watch the sunset by boat as well! The next day we explored the lake by renting the boat for ourselves and went to many amazing crafts workshop. Nonetheless, it was a really great time with the local family for 2 nights. Read the full story here. 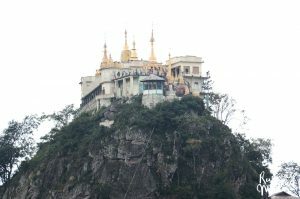 We got back to Nyaungshwe again by boat from Inle Lake and took a night bus to Yangon. It took almost 9-10 hours on the road and we slept the whole night on the bus. It was really great that they even provided blanket and pillow to sleep in. Once we arrived in Yangon, we decided to just walk around the area of our hostel which mainly is the south part by walking. Spent the rest of the afternoon at Mahabandoola park watching the locals and laid down on the grass. 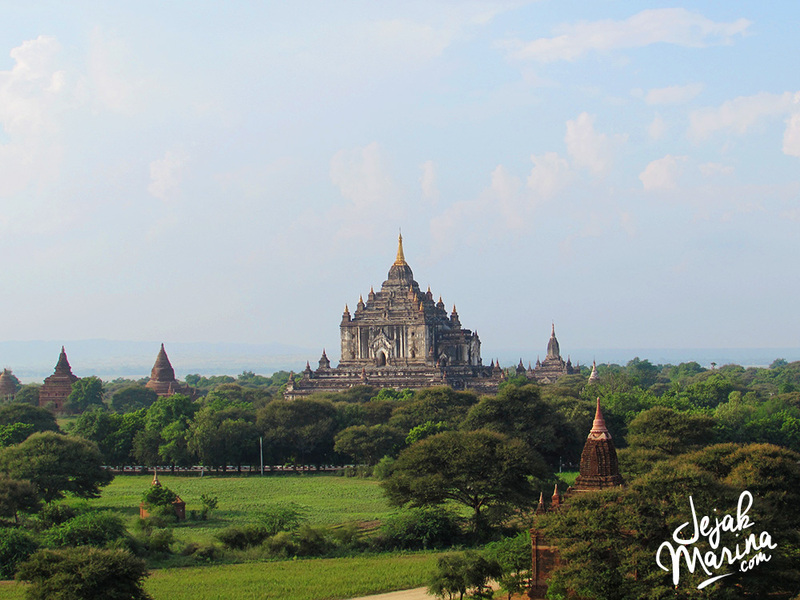 Read on about what you should do when you go to Yangon here. Took a taxi to get into the largest Pagoda in the country, Shwedagon Pagoda, where we met the nice local guy who showed us around. He even took us to the Bogyoke Aung San Market by taking the public bus. Great experiences you can always have by trusting the local way! The rest of the afternoon, we took the train going around the Yangon city. Departure part as we went back home to Thailand by plane! 2-3 Days: Mandalay or Yangon have the easiest airports and best experiences you can get from the Burmese in a zip! 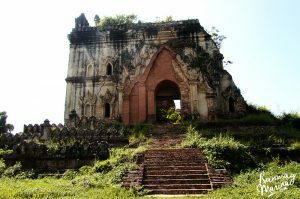 Overall, I really feel that Inle Lake and Bagan had the best historical places and cultures that you shouldn’t miss out. Even myself feel that I didn’t spend enough time there! When I went there on 2015, handphone was about o become popular. So don’t expect you ca get a number and good internet data, cos even their internet is not even good. It’s better to book transportation with the local drivers to get on your trip well. Or.. you can do as crazy as we were. Rent a motorbike and got lost in Inwa. Always ask your hotel receptionists about booking transportation or any recommendation you want to take. They sure know how to help out especially the foreigners. What I comprehend was that they tried to increase the tourist income by helping tourist to have the best time in Myanmar. Plan your itinerary really well, cos they do not have a flexible time schedule on the bus and train. Better book them 1-2 days before you go. Not many people can speak English here, so better be ready! Ask out tourist guide, hotel receptionist if you ever need direction on the road! Be respectful on how to dress up. They are still conservative about their culture, so be wary about your clothes, ladies! Wear a long sleeved shirt and dress or pants below the knee. It was a challenge for us to travel to Myanmar, but we had the best time of our lives cos we couldn’t find any country with amazing details, history, culture and people like the Burmese. So make sure you have the best time of your life here with a plan to stay longer! Wow! Those pictures are amazing! I can’t even imagine seeing those places in real life. One of my big goals is to take one big vacation a year to a new country. This will be on my list! Thanks for reading! You should! This is so informative! I like how you have even given sample itineraries for people with less time in Myanmar. Great idea! Interesting!! Never been to this country but hope will do it in the near future. You should! 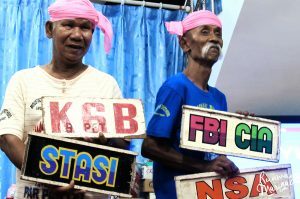 A very nice interesting country! All of these places look INCREDIBLE! I love that you included sample itineraries for fellow travelers coming through the area – what a genius idea! 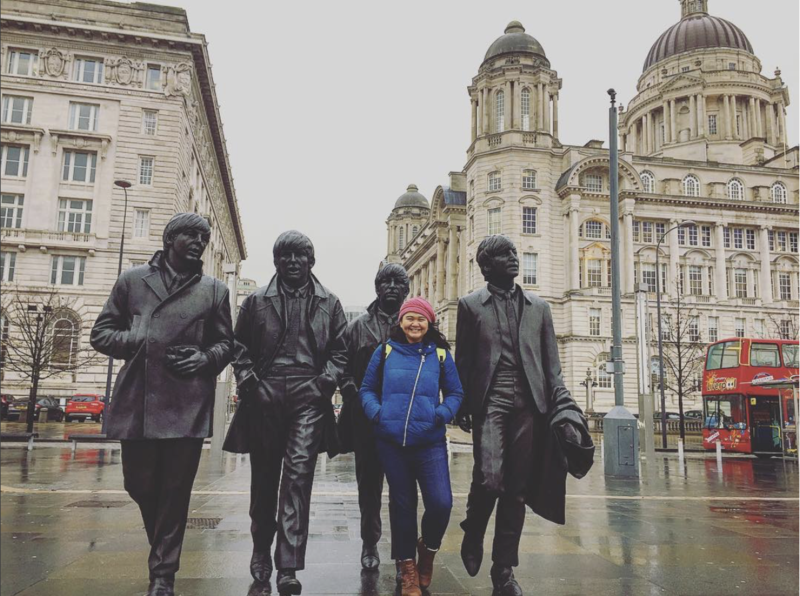 Wow, what a trip of a lifetime! I love touring on motorbikes whenever we go to a new city, you get to see so much more and they’re fun to drive! Looks like you had an amazing time. Would love to visit some of these places one day.